Modifying a shot gun so that it is an aid in survival situations is one of the best things you can do in preparing for the worst situation. 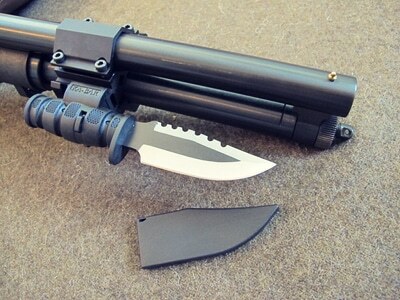 Many of these modifications are not very expensive, and actually give you more uses for shotgun than it originally came with. 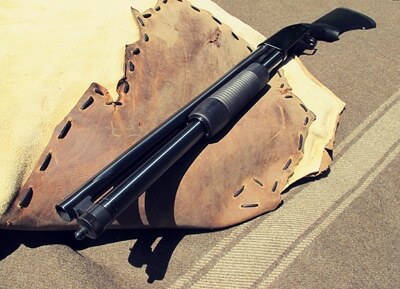 Creek Stewart shares how to make a suvival shotgun over at artofmanliness.com. 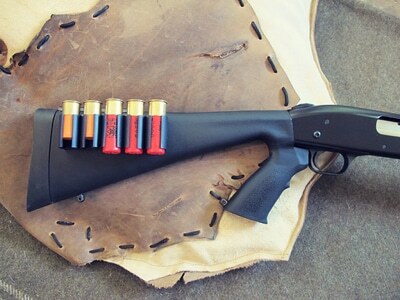 For this project, I decided to build a survival kit using a shotgun platform–creating the Ultimate Survival Shotgun. My challenge was that everything had to be included in or on the gun itself–no extra pack items or containers. Below is what I did as well as the survival logic behind each decision. Every survival kit must include contents that directly or indirectly meet these five basic survival needs. 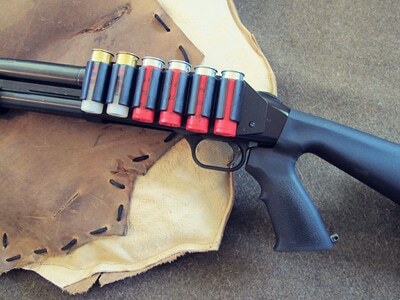 The shotgun platform I decided to use is the Mossberg 500 – PUMP. I chose a pump action because it is easier for me to troubleshoot and work on in the field compared to other models. I chose the Mossberg brand because it is a very popular gun, and there are literally hundreds of aftermarket modification pieces and parts designed to fit this gun. I knew I would want to add on some of these extras to increase the gun’s survival value. Below is a photo of the shotgun “off the shelf”–before my survival modifications. I will now break down each survival modification and detail why it was included in the final build. 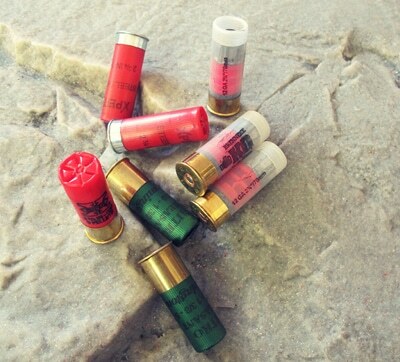 Bird Shot: Designed for birds and other small game such as rabbit and squirrel. 00 Buck: Good for turkey and larger game such as deer. Slug: Designed for large game such as deer, hog, or elk. In addition to hunting, a shotgun is an excellent self-defense weapon. It’s easy to imagine the need for a self-defense weapon in an urban or wilderness survival scenario–defending you or your family from man or animal. Not only is a pump action shotgun a proven deterrent, but it also has some serious knockdown power. Because of these 2 considerations (hunting & self defense), I wanted to carry as much ammo on the gun as I could. I filled the magazine and the chamber which holds 7 + 1. I also added a side saddle shell holder and a screw on stock mount shell holder which together extends my total capacity to 19 rounds of ammunition. Not bad at all. I know from experience that one of the most important survival resources is a good quality knife. It can assist in almost every survival related task. I found a great 5” Ka-Bar brand knife designed to mount directly to a picatinny rail.